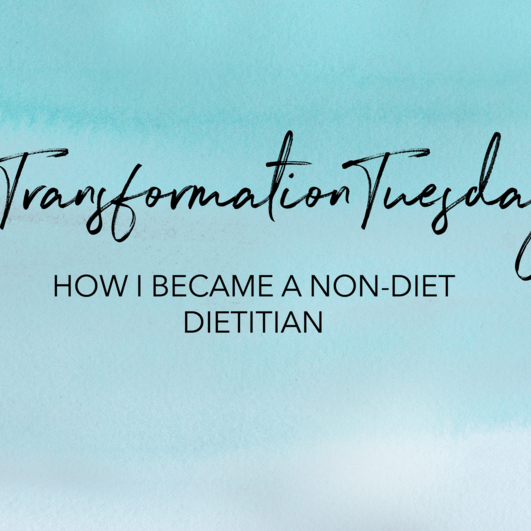 I've got another guest post from my lovely intern Lauren (@gofeedyourself_) on a topic I think my dietitian readers will really appreciate - especially dietetic interns and those who work in environments that aren't HAES-centered. 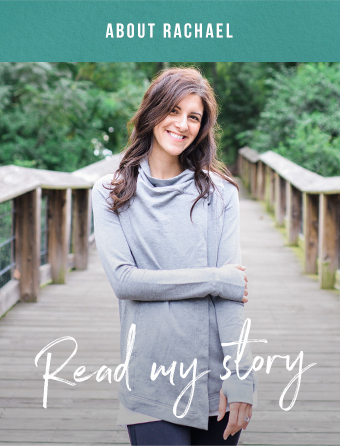 I know as I was beginning to understand Health at Every Size and working in an environment that, well, didn't, it was incredibly challenging and stressful. I just love what Lauren wrote in this article, and as someone who has been mentoring her through the past months of her internship, I am SO impressed with the advice in this post! P.S. if you're not following her on instagram already - what's wrong with you! Rachael tossed this blog topic out there a few months ago and immediately I was like YAAASS I’ll talk about that! And then I sat down to write. And honestly, what came out would not be an appropriate or particularly helpful conversation. Most of this rough first draft was a lot of anger I was unaware I was holding on to. Know that once you are a RD, you can practice however you want. This was my primary strategy for handling many situations over the past few months. It sounds kind of cynical and can be frustrating to feel like you have to go along with things that you don’t 100% agree with. But the truth is that most of the time, as an intern, it’s not your place to question a preceptor’s judgment or disagree with a treatment plan. Monica is the best professor & let me lecture on HAES in her MNT class. After one particularly rough week of feeling like I was biting my tongue around all the RDs I was working with, Rachael swooped in with some bomb advice on how to appropriately question a preceptor! Sometimes our thought process is so habitual and second nature that we don’t even consider why we do things until someone asks us why! As an intern, you’re expected to be learning and asking questions. So ask questions! It’s never wrong to ask your preceptor to explain their thinking or justify their recommendations to you… it’s a more gentle way to disagree/point out biases without actually saying you disagree with them. If they explain something and the fat phobia/weight bias/diet culture smacks you in the face, a response like “huh, I wonder if that would also be a good idea for a person in a smaller body” or “It’s interesting that we did something different for *insert name of other patient who had the same condition but was in a different sized body here*” or “sometimes I wonder if the stress of doing that might be worse for health overall [it is, but they don’t know that I know that it is]” might possibly cause your preceptor to stop and think about it. At the very least, you’ll feel better about saying something instead of totally ignoring the situation. With all that being said, if you find yourself in a particularly frustrating situation, speak up. Personally, I chose to go to my professor before talking directly to my preceptor because I felt more comfortable with her. I never wound up taking action on anything, mostly because of #1 above, but I still think it was important (and necessary) for me to voice some of my concerns to someone. Remember how long it took you to really understand this stuff? Well it’s not super helpful for anyone (you, your preceptors, your peers, your patients, etc…) if you walk into a conversation trying to convince someone you’re right and they’re wrong. My hope is that I leave whoever I’m talking to with something to think about or questions they’re asking themselves. Learning to voice your thoughts so they’re heard, and how to really listen to what people are saying are super valuable skills for everyone to learn. This becomes an even more crucial skill when trying to hold difficult conversations, with people you may disagree with, about complex topics such as HAES, diet culture, weight stigma, privilege, diversity in dietetics, etc… Celeste Headlee’s TED talk on “how to have a better conversation” has been an incredible resource for me in this area, and is one I find myself rewatching over and over again. Your job is to learn! Just because you have seen “the other side” does not make the people teaching you irrelevant. There are so many valuable things and important skills you can learn from every preceptor and professor… don’t dismiss their knowledge or experiences just because they think or practice from a weight-normative approach! Like I mentioned before, I was holding on to a lot of anger. It’s frustrating to know that I wasn’t taught this in school, my preceptors weren’t taught this, future RDs aren’t being taught this, my patients are receiving crazy biased care that is affecting their health outcomes… If, like me, you’re feeling some anger about this, first of all feel it because it’s very legit. Then take it and use it to fuel yourself. I’m repackaging that feeling into courage to approach my program directors about these issues, passion for the things I post online, and drive to be the best RD I can be for my patients.